A big thank you as you guys continue to leave such fabulous comments, encourage and keep this blog growing. We are past 300 followers and 1600 facebook fans. How cool is that? I used the colors (Azure Blue, Gray, Cherry Red) from the current 10 Minute Craft Dash #26. Hope you fellas like it ! So I made this book long time back but never got around to sharing it here. I am finally getting back to making cards and participating in some of my favorite challenges I have been missing out on for some time. But I think I like the simplicity and the color palette of this card! And it is all the more special because of who it was made for. Read more about it HERE. I hope you had a good Sunday! Are you bored of my MDF projects yet? Last week I worked on this round placemat from Craftslane and thought it would make for a great coffee table center in the living room. The process is quite similar to the one that I used when I made this peacock tray so I am not explaining it again here. But if you have questions, feel free to leave it as a comment. 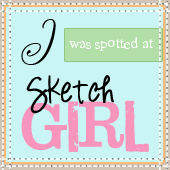 When I saw Lisa's shaped card challenge at Yvonne's blog, I started digging in my die stash. Not that I have a lot of dies, I just wanted this card to be different and not use the labels die. I decided on this cute Onesie die from PTI and get to work. And before we get on to what I did with this frame, I wanted to show you how awesome this Craftslane Oval Frame and the ease of using it. Coming on to what I did with it. I first painted the frame with aqua green acrylic color and then I did some decoupaging using papers from an old book, Mod Podge and a foam brush. I toned down the yellow-ness of the pages with white acrylic paint. And then I hand wrote the quote on watercolor paper and gave the paper a light wash of watercolors.